It is not a rare case when a UI designer creates an app design full of elements with nicely rounded corners. 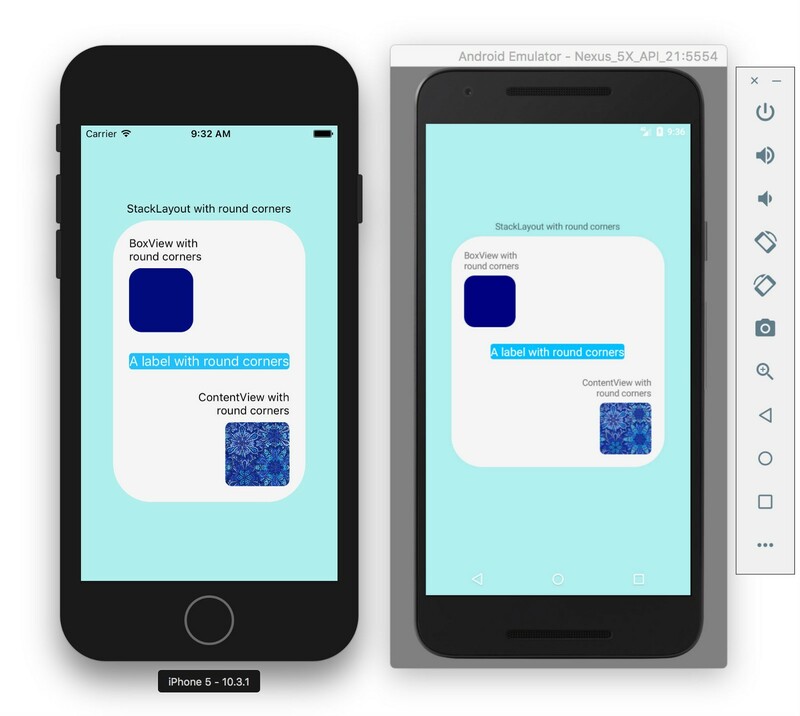 create and apply a custom Xamarin.Forms.RoutingEffect allowing controls and layouts to crop their corners themselves. This post provides a full implementation of the second option. Let’s start by defining what we’d like to achieve. Here is a schematic example of a xaml applying a rounded corners effect to various layouts and controls, passing corners radius as a hardcoded number or as a resource. Here is how it will look like on iOS and Android. Override OnAttached() and OnDetached() callbacks, applying corners radius value, and OnElementPropertyChanged(). GetDensity() implementation assumes Plugin.CurrentActivity is referenced in the Android project, but you can choose to implement it otherwise. It came to my attention that accessing Container in OnDetached method may throw an ObjectDisposedException, which may cause the whole page UI to disappear. Hence try/catch clause in each method.